What's So Risky About Puppy Shots? Home > Blog > Vaccination > What’s So Risky About Puppy Shots? For most dog owners, it’s not news that yearly boosters – or any boosters really – are at best unnecessary and at worst harmful. As we know, puppies are given a series of several vaccinations, spaced two to four weeks apart. This is pretty standard practice … and we’ve come to believe that a series of puppy shots is necessary for them to be protected. But this simply isn’t true. 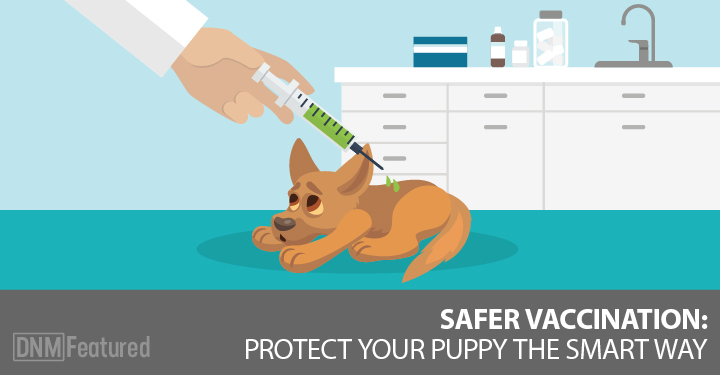 It takes only one vaccine for a puppy to be protected. When a puppy with a reasonable amount of maternal antibodies is vaccinated, the maternal antibodies will essentially inactivate the vaccine, just as it would a real virus. Maternal antibodies weaken over time but the rate of weakening differs between different dogs and even different breeds. Especially when it comes to parvovirus. The maternal antibodies for parvo can last longer than other common puppyhood diseases – as long as 26 weeks in some dogs – and that presents a problem for our puppy shot schedule. … vets are trying to catch the window in time when the maternal antibodies are low enough for the vaccine to work. So they just keep vaccinating on a regular schedule until the puppy is 6 months old. Now, if you’re concerned about the risks of vaccination – and you should be – then this vaccine schedule really doesn’t make much sense. Although nearly every puppy is vaccinated this way, the shots may be given too soon or continue after the puppy is already protected. That might protect puppies from infectious disease but every unnecessary vaccine puts him at risk for allergies, cancer and other very common diseases. Noted veterinary immunologist Dr Ronald Schultz has addressed this issue and recommends a minimal vaccine program that includes one vaccination for parvo, distemper and adenovirus only, given at 16 weeks of age. This isn’t an arbitrary number – it’s the earliest age at which the vaccine will have the greatest chance of protecting your puppy. … despite receiving two vaccines as opposed to one. They vaccinated puppies at 6 weeks, 9 weeks and 12 weeks of age and then measured their response to the vaccine by measuring their titers to parvovirus. At 6 weeks, only 52% of the puppies were protected, meaning that half of the puppies vaccinated at 6 weeks of age would get all of the risk from the vaccine and none of the benefit because their maternal antibodies inactivated the vaccine. At 9 weeks, 88% of the puppies showed a response to the vaccine. At 12 weeks, 100% of the puppies were protected. It appears that 12 to 16 weeks would be the magic number where vaccines have a nearly 100% chance of working. And by working, it means that your puppy should only need that one vaccine – for his entire life. But that one vaccine protected every one of those puppies. Although two and even three doses of vaccine were the original recommendations made in the AAHA Canine Vaccine Guideline back in 20013, the research shows that a series of puppy shots is completely unnecessary. 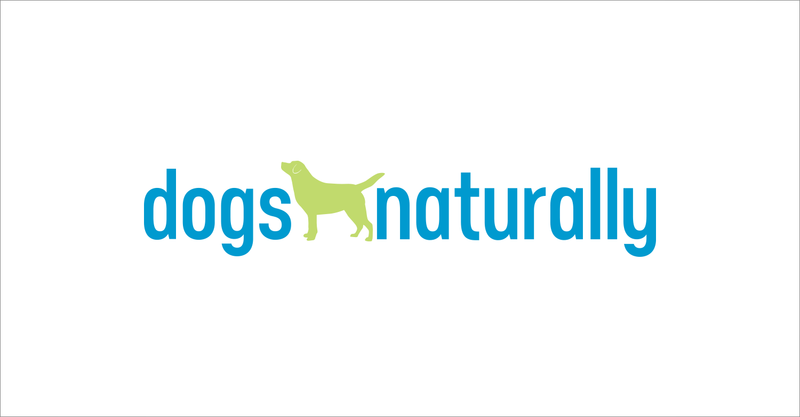 … they suppress your puppy’s immune system. For ten days. So it’s no wonder why data from the Virbac Disease Watchdog shows that 28% of vaccinated puppies still get parvovirus. So does the series of puppy shots still make sense to you? It’s important to note that if you wait until 12 or 16 weeks of age to vaccinate your puppy, you should keep him away from areas where there’s a lot of dog traffic … just as you would a puppy getting a series of shots. We don’t like to think about it, but vaccination has the very real risk of creating chronic, debilitating disease. Most vets and dog owners don’t see the connection because it can take weeks, months or even years after vaccination for these diseases to develop.